Four years ago the Oxford English Dictionary recognized the word “selfie” as its word of the year and then in 2015 we described the emergence of the medical selfie. Well, a start-up based in Silicon Valley has developed a novel technology that enables a user to create a 3D selfie of her face (see image at right). Bellus3D has just launched their Face Camera at this week’s annual Consumer Electronics Show (CES) that opened yesterday when 175,000 eager delegates converged on Las Vegas. The Face Camera may be attached to a tablet or smartphone and, while holding the camera steady the user turns her head from side to side. 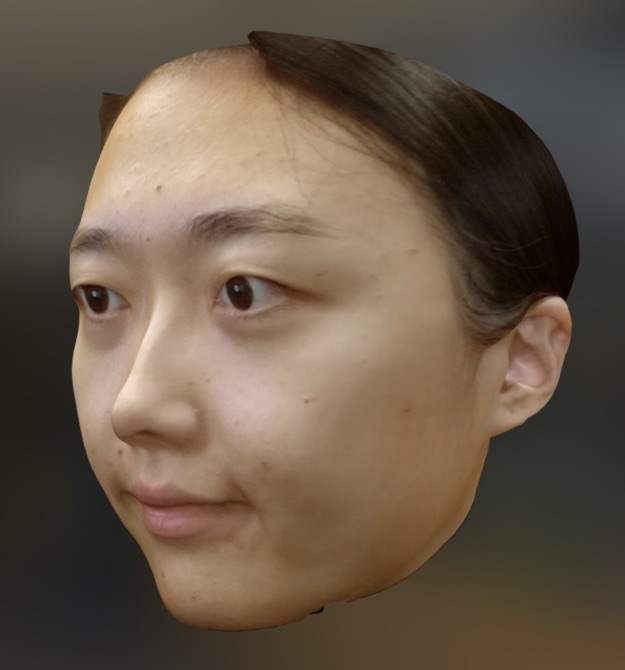 The resulting 3D model of Jia Liu – one of the software engineers at Bellus3D – has been generated by a sophisticated algorithm (see image below left). By clicking here you can open up a new tab that will allow you to manipulate Jia’s head in 3D using your mouse. 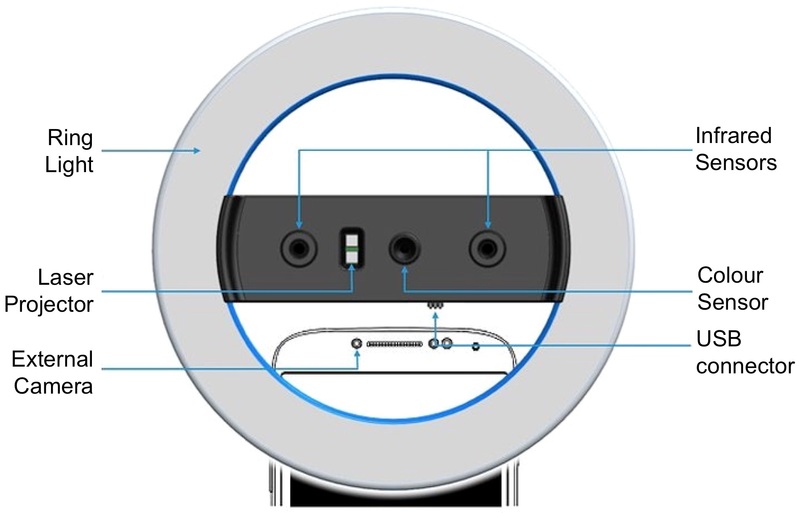 As seen below right, the Face Camera interfaces to the smartphone via a USB connector and utilizes both visible and infrared light to illuminate and image the subject’s face. The company has said that applications include surgical planning, video games, digital makeup and security. At the CES in January 2015 wearables were all the rage, with the GoBe device tracking caloric intake, a smart hearing aid from Siemens, and a patch thermometer for babies all making an appearance. This year there are 82 vendors exhibiting wearable technology, with quite a few focused explicitly on medical devices that offer the promise of health benefits. Omron Healthcare has just unveiled its new monitor, a compact wrist device that measures blood pressure with clinical accuracy while also recording physical activity and sleep patterns. 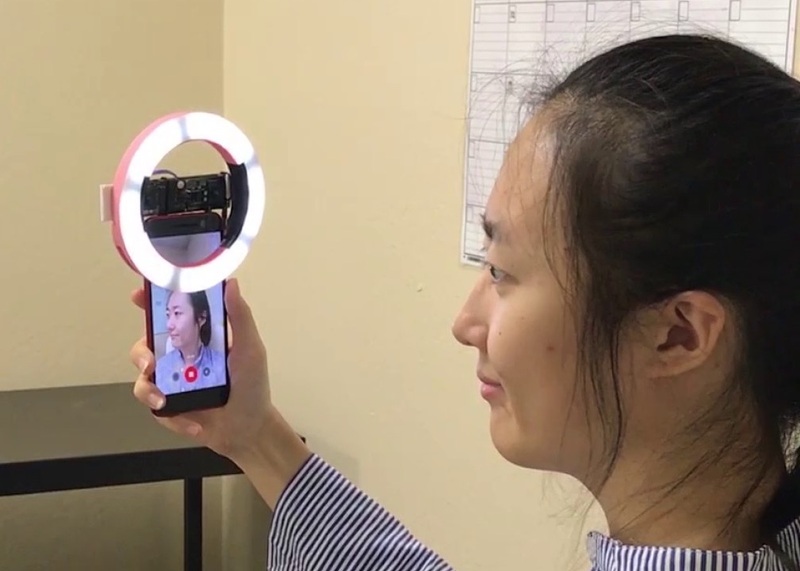 EyeQue has developed a miniscope that attaches to a smartphone and, by looking through the device and completing a number of eye tests, the system generates a lens prescription for the user. At this stage it’s unclear whether optometrists would support this $30 device which has already garnered over $130,000 in crowdfunding through the KickStarter platform. There are 3,800 companies exhibiting this year at CES which is billed as the world’s largest trade show. There will be thousands of products on display and a sobering thought is that most will never see the light of day. Which begs the question: Will the 3D selfie prove to be a runaway success story, or will it be gathering dust in a year’s time?